What is a horse microchip? A microchip is a small permanent RFID implant, approximately the size of a grain of rice. Each microchip has a unique number, which is detected using a microchip scanner. Only authorised veterinary practitioners can legally implant microchips in horses in Victoria. This ensures the microchip is placed in the correct location and the required horse identification can be confirmed. Microchipping is a quick, safe and simple procedure that causes little discomfort. 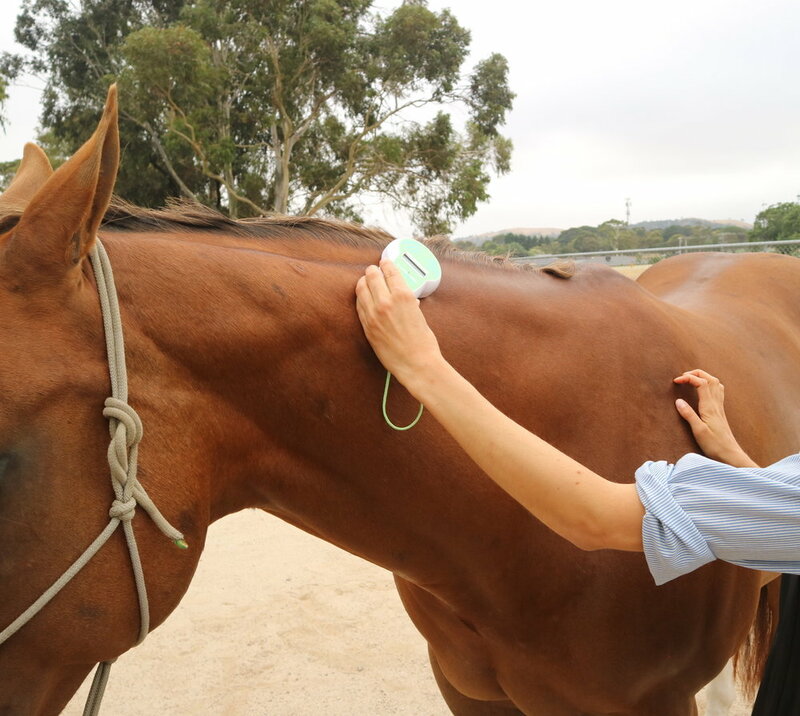 Prior to the procedure, the horse is scanned to ensure a microchip is not already present. The actual microchip is also scanned before implantation to validate the identification number. The microchip is housed in a special needle and syringe. The needle and microchip is inserted into the left side of the nuchal ligament through the skin, approximately half way between the poll and the wither. Why do I need to microchip my horse? As a horse owner, you are not obligated by Victorian law to microchip your horse. However, microchipping your horse and registering with a licensed animal registry can help you find your horse if it is lost or stolen, or in an emergency situation such as a fire or flood. In addition, there are a number of equestrian organisations that require horses to be microchipped. -To be registered with Equestrian Australia, all horses must be microchipped as of 2008. As of 2011, all horses participating in official competitions must be microchipped. -All thoroughbred foals born in Australia from 2003 onwards and all imported horses born in 2003 onwards are required to be microchipped to be registered with the Australian Studbook. -All standardbred foals born in Australia in 2017/18 season onwards need to be microchipped to be registered with Australian Harness Racing. -Welsh ponies and Welsh Cobs born or imported from the 1st of August 2013 are required to be microchipped to be registered with the Welsh Pony and Cob society Australia. $80 at the clinic OR $80 + travel for the month of February! Travel discounts apply for more than 2 horses on one property/area. In addition we are also offering our 2 in 1 (Tetanus + Strangles) vaccine at $35 - that's cheaper than buying anywhere online!